UTG 9MM Pistol Cleaning Kit | BUDK.com - Knives & Swords At The Lowest Prices! 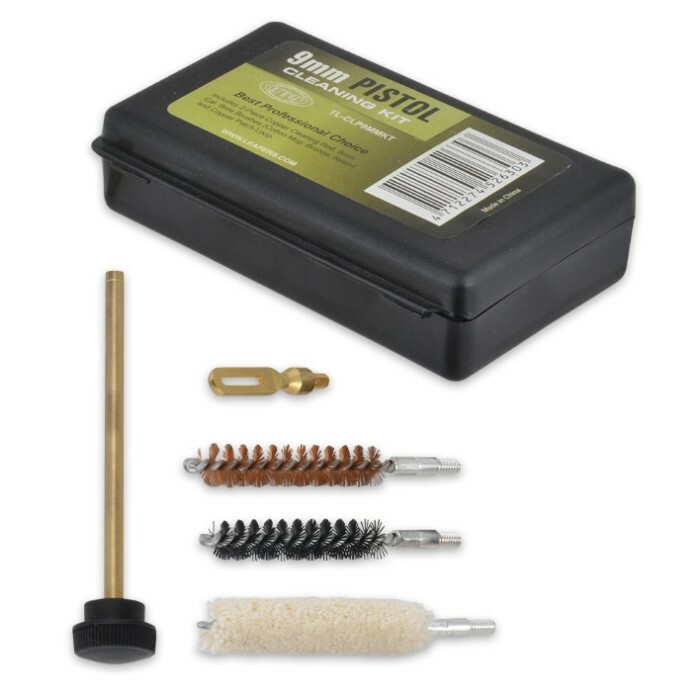 The UTG 9MM Pistol Cleaning Kit is specifically for .38/.357 and 9mm caliber handguns. 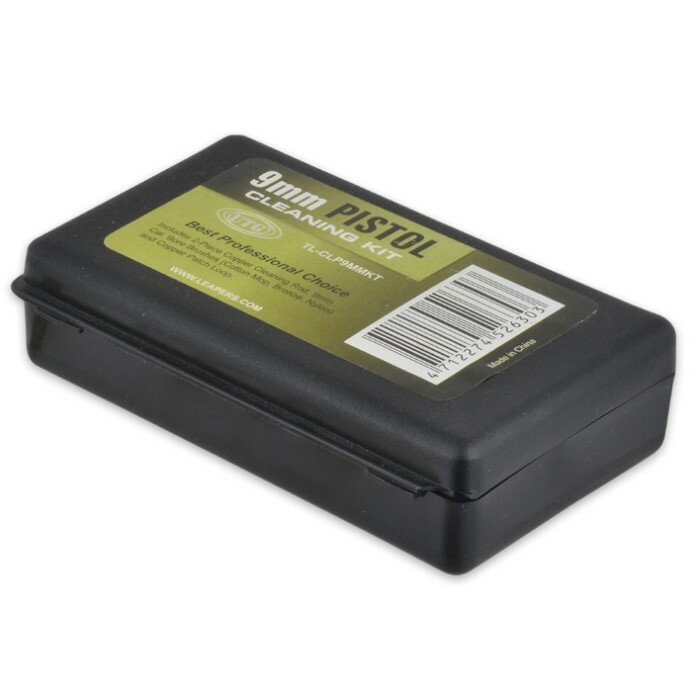 Offering full protection of your firearm’s barrel the components of the kit have robust construction with excellent strength and durability. The copper alloy precision cleaning rods with tight tolerance threads are guaranteed for level and long lasting use and all threads are standard 8-32 and interchangeable with any components on the market. 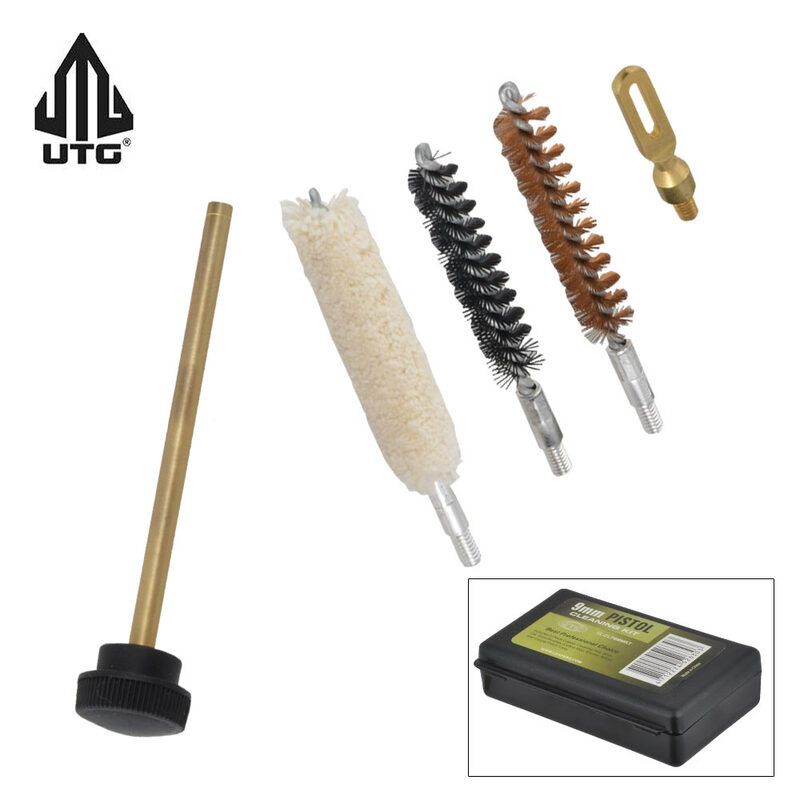 The kit also includes three brushes made of bronze, cotton mop and nylon for use in lightest to most thorough cleaning operations and a high-quality copper patch loop for fast bore cleaning is included. It comes with a bonus polymer case (4 5/8" X 2 7/8" X 1 1/4") with internal clam and padding for easy carry and convenient storage.